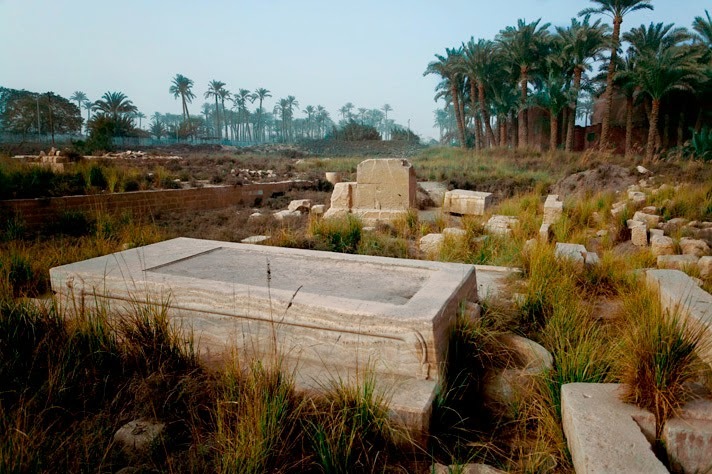 National Geographic Gallery: Photograph by Richard Barnes: The embalming house for the Apis bulls, sacred animals in the great city of Memphis, survives in ruins near the village of Mit Rahina. For 40 days the body of each bull lay in natron on a massive stone bed in a courtyard where the sun could help desiccate and disinfect it. "Photographer Richard Barnes spent more than ten years documenting the way we assemble, contain, and catalog the natural world. 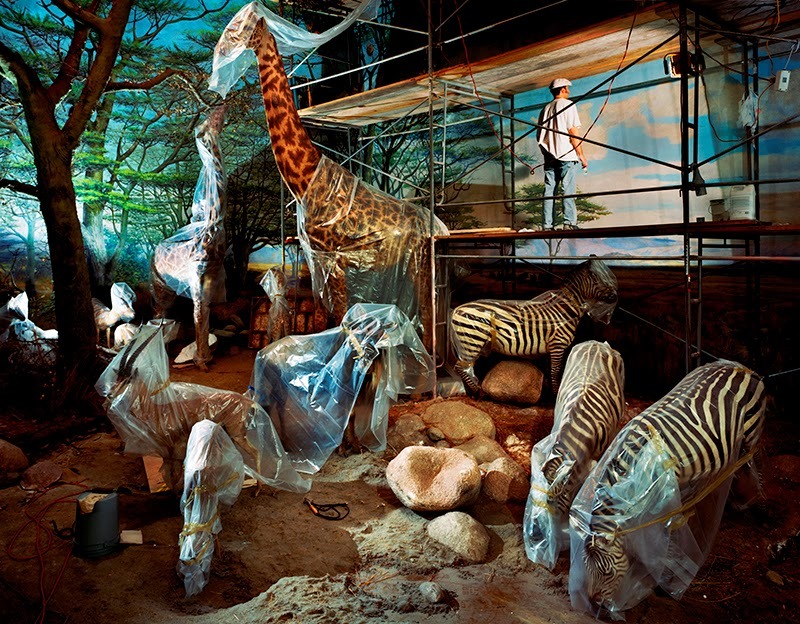 Barnes's behind-the-scenes photographs are haunting reminders that there is nothing natural about a natural history museum." RICHARD BARNES monograph ANIMAL LOGIC collects four related species of his photographic work that touch on themes relevant to science, history, archaeology, and architecture. 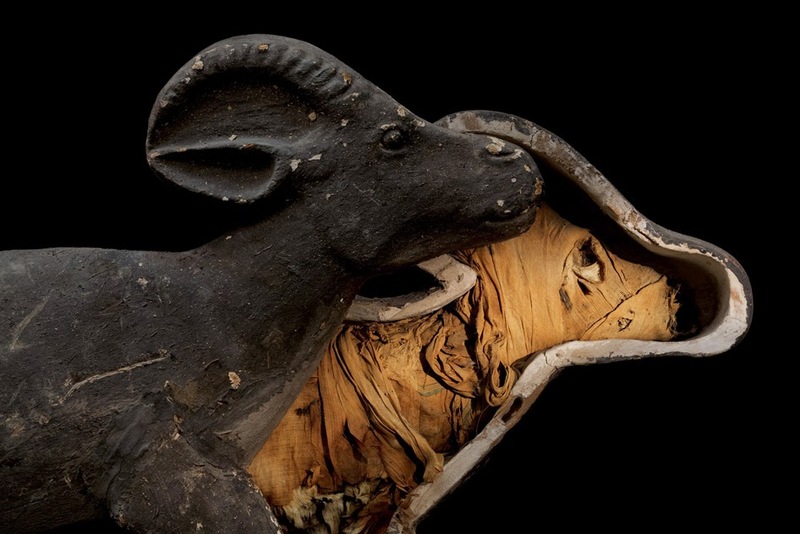 Through his lens, sights and objects normally hidden from public view—half-installed dioramas, partially wrapped specimens, anatomical models, exploded skulls, and taxidermied animals in shipping crates—take on a strange beauty. 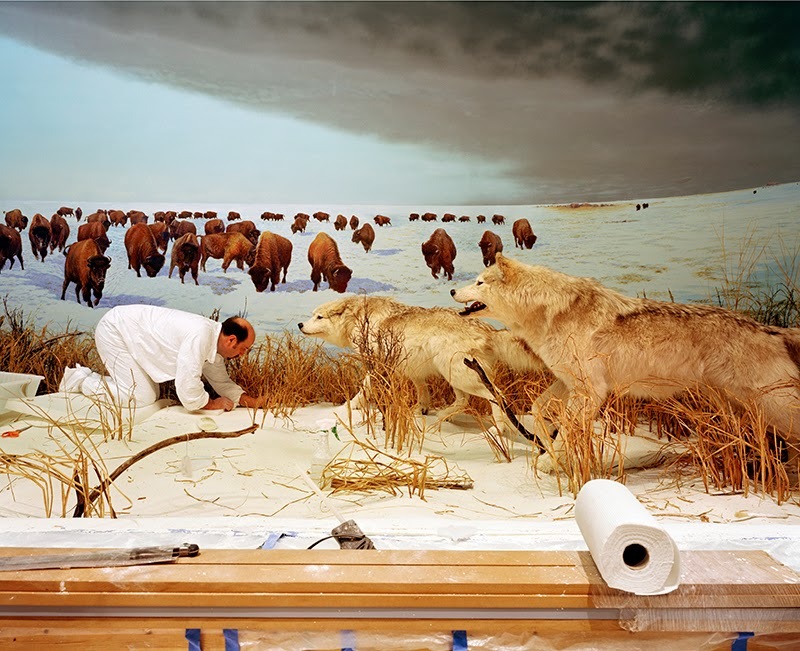 Barnes peels back layers of artifice to reveal the tangle of artistry, craftsmanship, and curatorial decisions inside every lifelike diorama and meticulously arranged glass case. Animal Logic investigates both the human desire to construct artificial worlds for 'the wild' and the haunting and poignant worlds the real wild constructs. Barnes's camera freezes migrating starlings to reveal the visual poetry hidden inside their dense formations. His extraordinary photographs of birds' nests constructed from detritus—string, plastic, milkweed, tinsel, hair, dental floss, pine needles—sculpturally embody our often complicated relationship with nature. 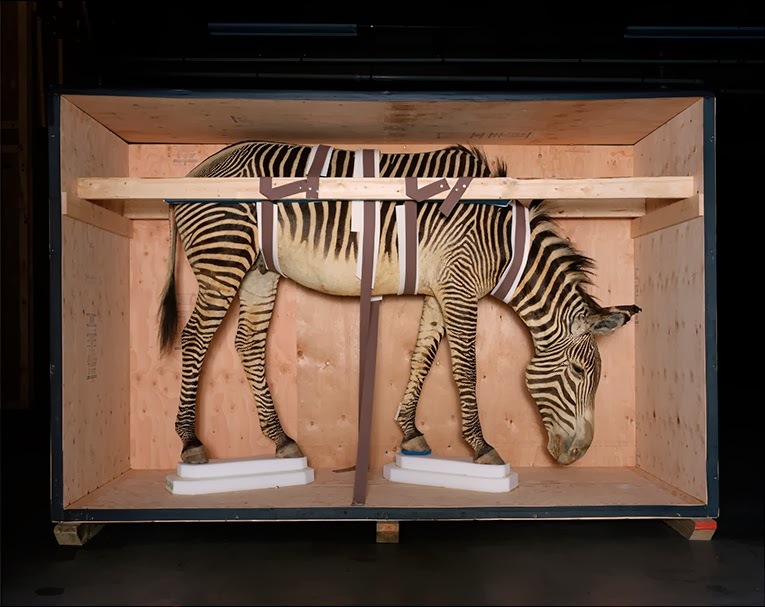 Animal Logic presents more than 120 of Barnes's photographs and includes essays by Jonathan Rosen of the New York Times and curator Susan Yelavich, which explore the themes that emerge from Barnes's unique body of work. Also his Murmur photos of Starling masses on the website are astonishing....thanks for the introduction! ok . the first photo is one of those great works that make us come back home in crises about our own work after to have visited the exhibition . hahah!! don't you agree ? beautiful . all his work is fantastic . thanks for have posted this one today . Caio Fernandes, you are so right! Today I was checking my blog and discovered that you are a follower of Quantum. So I discover this blog of yours, it's wonderful. What fascinating art that drew this Ozarks farm chick right into the screen. Thanks again. Enjoy your day and may it be filled with many blessings!! !